When it comes to home efficiency, the bathroom is often where we focus on water conservation. Most bathrooms contain a sink, toilet, and shower, which can each waste tons of water if we’re not careful, but a Montreal-based company took another look, and realized that most of us are letting something equally important escape down the shower drain: energy. 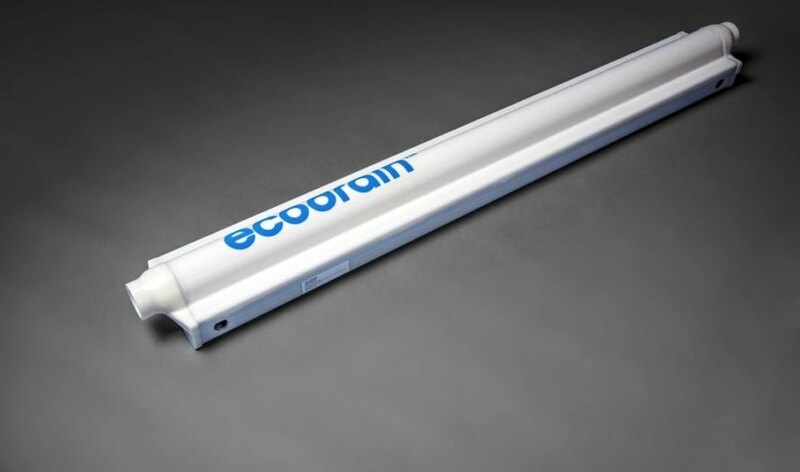 EcoDrain is a gadget that aims to drastically reduce home energy costs by recycling the heat energy of the already-warm water flowing down your shower drain. It’s not unlike many waste-heat recovery systems we’ve covered in the past, but what makes EcoDrain unique is that it works on a small scale that can have a big impact on our personal utility bills. Longtime readers of Inhabitat may remember that we covered EcoDrain back in 2009, when the technology was still a little rough around the edges. Since then, it’s gotten a sleek makeover, passed several field tests with flying colors, and finally become available for public purchase. So how does this contraption actually work? Well, while you’re shampooing your hair and screeching out the chorus of that pop song you pretend to hate (don’t lie), a huge amount of heated water flows down the drain. 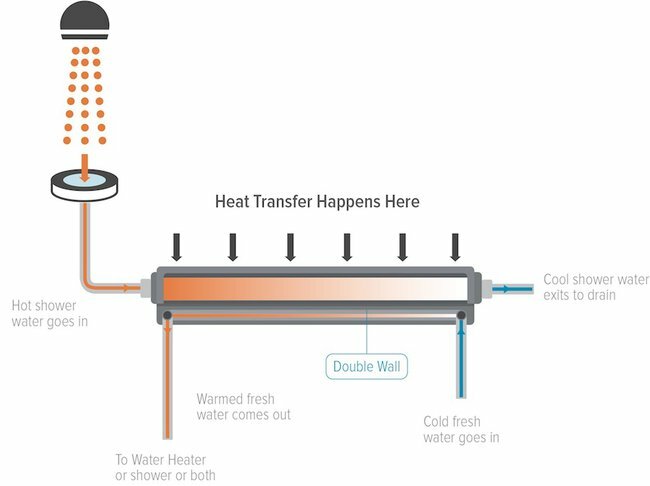 If you have EcoDrain installed, that “specifically engineered piping configuration transfers heat energy from the hot shower water to the incoming fresh water supply.” EcoDrain’s double-walled design ensures that hot shower water never comes in contact with the fresh water supply; they flow through separate pipes in a double-walled system and cannot mix. And what about that pesky issue of water pressure? “One of the distinctive elements of the Ecodrain is the inclusion of their own turbulator design within the unit, which generates turbulence in the water in order to increase the rate of heat transfer without significantly reducing water pressure for the user,” explains Treehugger. All of this next generation design adds up to big savings for your wallet. Depending on your electricity rates, EcoDrain can shave between $100 and $250 off your annual utility bills, effectively paying for itself in a few short years.